La Flotte-en-Ré (to give the village its full name) is a small village with an attractive port on the northern coast of Ile-de-Ré, with distant views to the beaches of the Vendée department. The town is very pretty, centred around its bustling harbour filled with fishing boats, with many of the houses being in the typical style of the region - low whitewashed houses with green shutters. A visit to the village will start in the area around the harbour and sea front. Traditional sea front houses line both the harbour and coast, which also has a walkway where you can promenade and admire the boats in the harbour, then continue on along the circular jetty around the port to the little lighthouse at the end. 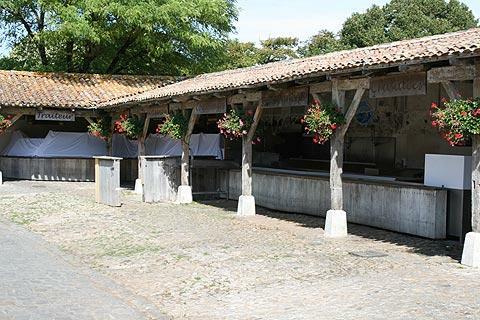 In La-Flotte-en-Re itself, behind the harbour, you can explore the narrow streets and alleys between the small houses and lined with hollyhocks, and enjoy the traditional sheltered market place with its picturesque stalls. There are a good selection of small shops, galleries and boutiques to enjoy along the streets of the old town. See also the Church of Saint Catherine and its belltower - the belltower was built in 1765 using stone from the nearby abbey. Note in particular the entrance on the southern side of the church, the only remaining vestige of an earlier church. There is also a beach in La Flotte-en-Ré - being on the northern coast of the Ile-de-Ré it needs to be 'topped-up' with new sand each year! Although not the best beach on Ile-de-Ré - these are found along the southern coast of the island - the beach of l’Arnerault is a sandy beach that is very welcome if you are staying nearby. There are the ruins of a 12th century cistercian abbey - the Abbaye des Chateliers - to discover on the edge of Flotte-en-Re. 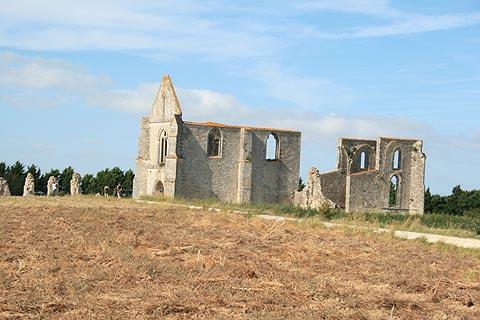 Although the abbey suffered greatly during the Hundred Years war and the Wars of Religion (leading ultimately to its being abandoned towards the end of the 16th century), it is still an imposing sight and there are sufficient ruins in place to identify many of the most important buildings. 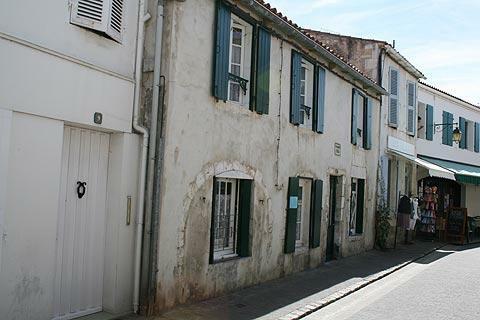 100 metres from the abbey you can visit the Fort de la Prée, a huddle of houses in an extensive Vauban fortification. The original fort was built soon after the abbey was abandoned and stone from the abbey was used for its construction. The fort, which retained an important defensive role until nearly the end of the 18th century, is now open to visitors (entry charge payable). 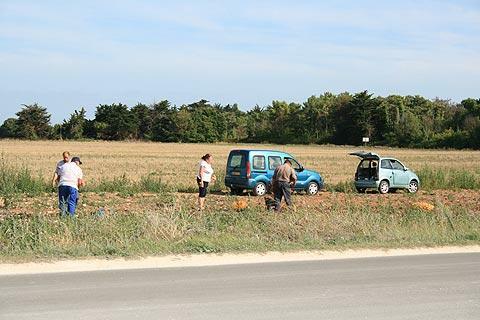 In common with most villages and resorts on Ile-de-Ré, La Flotte is joined with the extensive network of cycle paths that criss-cross the island allowing safe (and fun) family cycling. The Ile-de-Ré has many attractions including several attractive small villages and resorts and sandy beaches and is a very popular summer holiday destination. See Ile-de-Ré guide for details.